Exactly 15 years ago I made my ‚Abitur‚ (diploma from German secondary school qualifying for university admission or matriculation) and today we had a school reunion at my old high-school in Hagen called „Gymnasium Hohenlimburg„. It was a big and funny event at the schoolyard with current pupils, teachers and alumni. 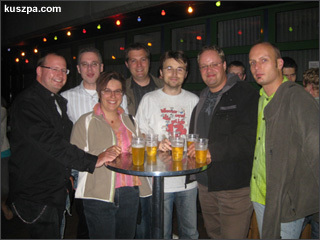 And it was great to meet some old school mates like Stefan Sondermann, Eva Klopocki, Michael Borkowski, Jörg Platte, Thorsten Rau, Christoph Wasser and Sonja Wiechers (Middelhaufe).